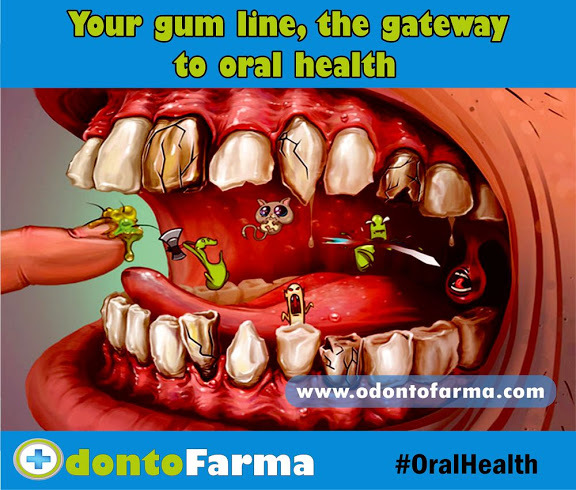 Bacteria accumulate in your gum line very quickly and are particularly difficult to remove. This is where most mistakes are made when brushing teeth. Many people intuitively use a lot more pressure when brushing along the groove between the teeth and gums. It is a fact that bacteria gather very quickly in the gum line, becoming structured and forming plaque. It is also a fact that this area is particularly difficult to clean. However, increased pressure only makes things worse - especially when using a toothbrush with hard bristles as it may cause injury to the gums, which cannot be felt initially. Such damage is often only noticed when the gums have receded and the necks of the teeth are exposed. Plaque on the gum line must be removed very carefully, otherwise deposits from food residue and bacteria found in our mouths will lead to tooth decay – and especially to gum inflammation (gingivitis). Infections like these are damaging, because they insidiously lead over many years to periodontitis by attacking and loosening the periodontium. Lack of care is not only harmful for teeth and gums. If the bacterial toxins from the mouth enter the inflamed gums and into the bloodstream, then they put the heart, lungs, brain and the immune system in danger. As protection against cardiovascular diseases, family doctors also recommend a healthy diet, exercise and proper dental care. People who pay special attention to the gumline reduce the risk of gum disease and its consequences.